Take a look at these behind-the-scenes photos from events taking place at UN Headquarters on Monday. At Monday’s High-level Meeting on the Rule of Law, world leaders and Secretary-General Ban Ki-moon reaffirmed that human rights, the rule of law and democracy are interlinked and mutually reinforcing and that they belong to the universal and indivisible core values and principles of the United Nations. UNAIDS appointed global Indian icon Mrs Aishwarya Rai Bachchan as International Goodwill Ambassador. Photo Credit: UN Photo/Mark Garten. Watch the press conference. 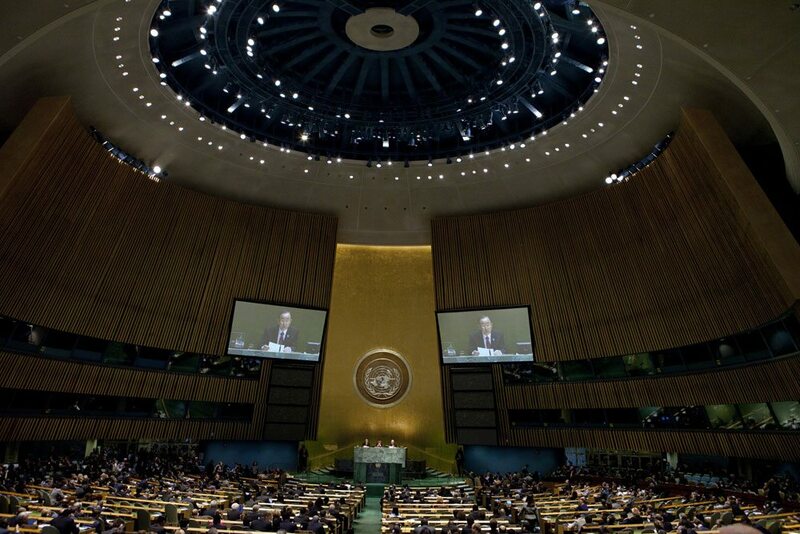 All UN Member States are encouraged to sign or ratify new treaties while in NYC. Here are Monday’s Treaty Event updates: 28 treaty actions were taken by 11 Member States resulting in a total of 9 signatures, 14 ratifications, 3 accessions, and 2 consents to be bound.